I don’t know about you, but I am a bit fair skinned. I also spend a lot of time out in the sun playing tennis or taking the kids to different sports activities. Even on vacation going to the pool or the beach can lead to a lot of unintended sun if you are not careful. 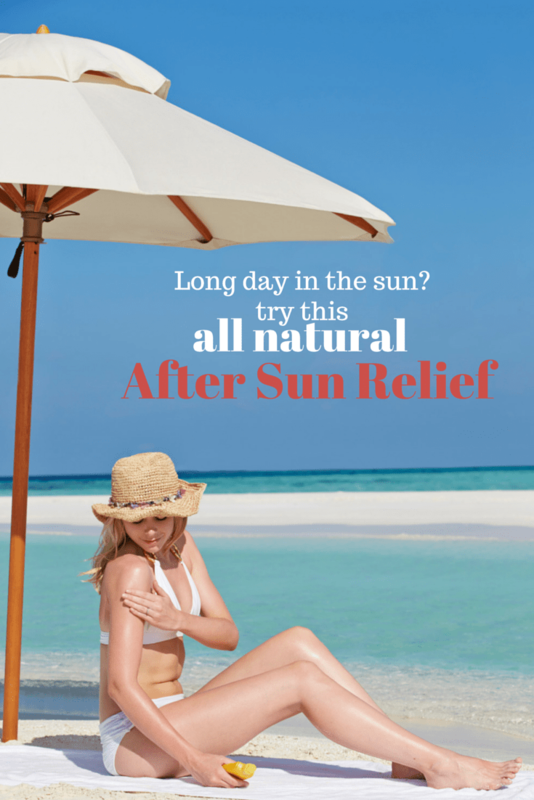 I have found this all natural after sun relief really helps me soothe the skin. It’s also super easy to make. 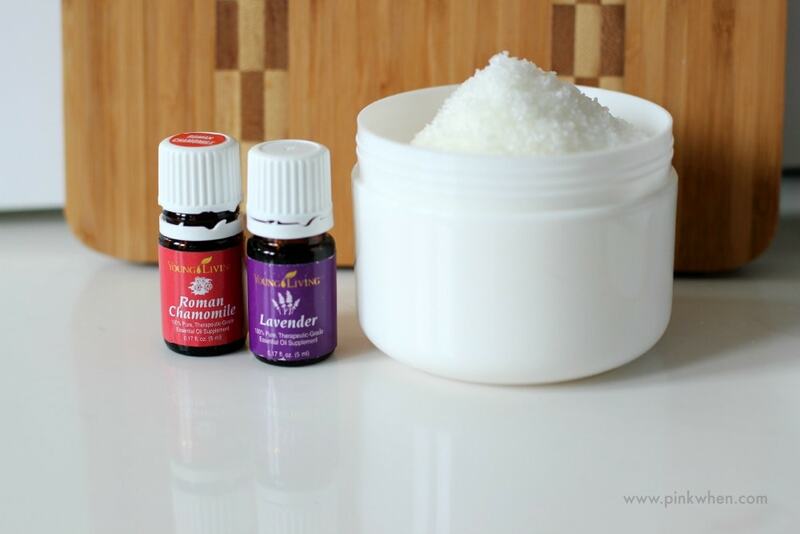 After you finish reading, check out these other items you can make with essential oils. There are so many different ways to get relief from a little too much time in the sun. I don’t know of anything that will just make it go away, but when I am feeling the burn, I like to give this little concoction a try. The thought process for using the Epsom salts is because when I was younger, it’s what my mom would make me soak in. I have always loved how clean and refreshed my skin felt after a long soak in Epsom salts. It’s just so soothing. Lavender is one of my favorites! I use it all of the time, and it’s soothing effects are perfect to help soothe my skin, or even to help wind down before bed time. Epsom salt alone is probably good, but I like to add a little Lavender and Roman Chamomile to the salts before placing them in the water. 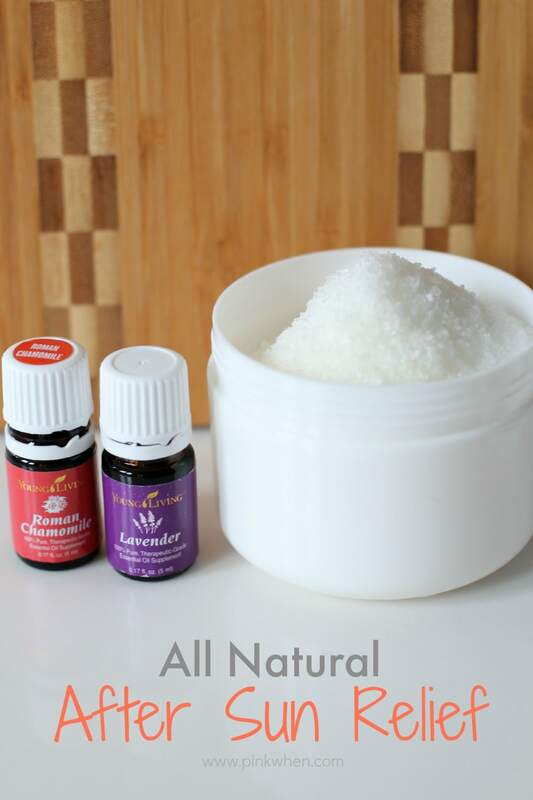 I add about 15 drops of each (Roman Chamomile and Lavender) to two cups of Epsom Salt. Add the Epsom salts to the bath with the while running the water. Once you get in, soak for twenty minutes to allow the soothing to commence. Your skin will thank you when you are done. Make sure to keep soothing the skin by applying a good moisturizer. 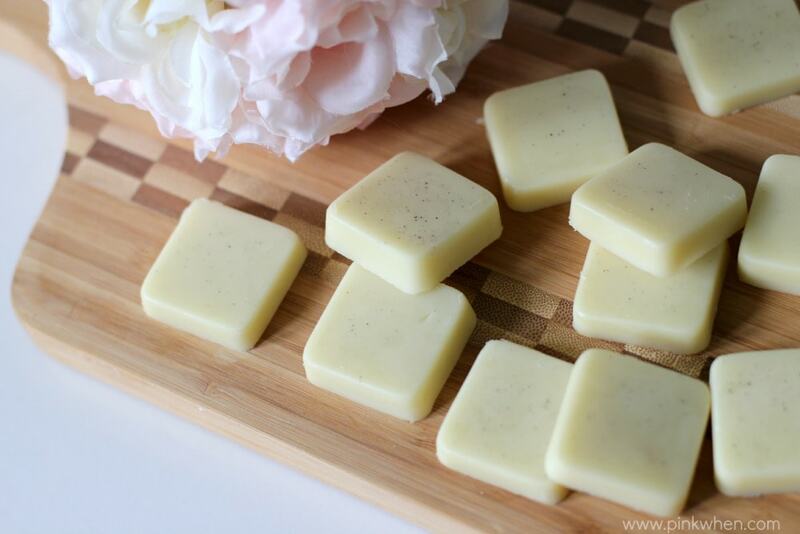 These Lavender Lotion bars are one of my favorites! With Summer just around the corner, make sure you are enjoying every second of it. Having this All Natural After Sun Relief on hand will have you loving how soft and fresh your skin will feel. If you are new to essential oils and would like to learn more about them, you can find more information about them here. I have used essential oils in different ways, and if you are looking for additional ideas, you can find more of those here. We also have a great deal running this month. Not only do you receive a great value with your order of a Premium Starter Kit, but when you place your order with PinkWhen you will also receive a $20 Amazon gift card to get you started. What’s not to love about that?! Click here for more information on how to get started. This sounds great! I need to get some roman chamomile. It’s been on my wish list for quite some time! These days I’m all about tea tree because it’s helped with my adult acne and other skin conditions.